Liberty Historic Railway has been the primary funding organization behind several of New Jersey's most successful and noteworthy transportation preservation projects. This list of recent examples is a testament to LHRy's commitment to the longevity of New Jersey's transportation heritage. 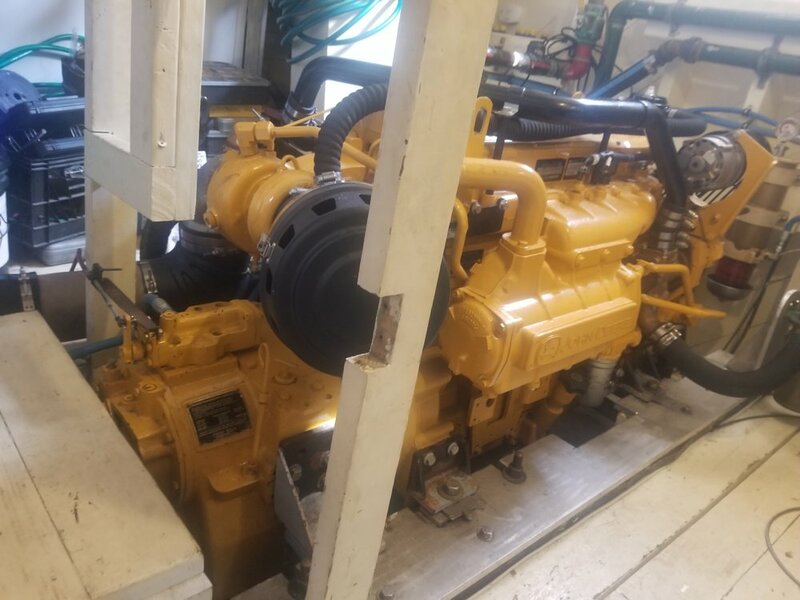 Funding: LHRy has agreed to fund two new/replacement generator sets for Sea Dart II, the Sea Scout Ship 228, based at Linden, NJ. 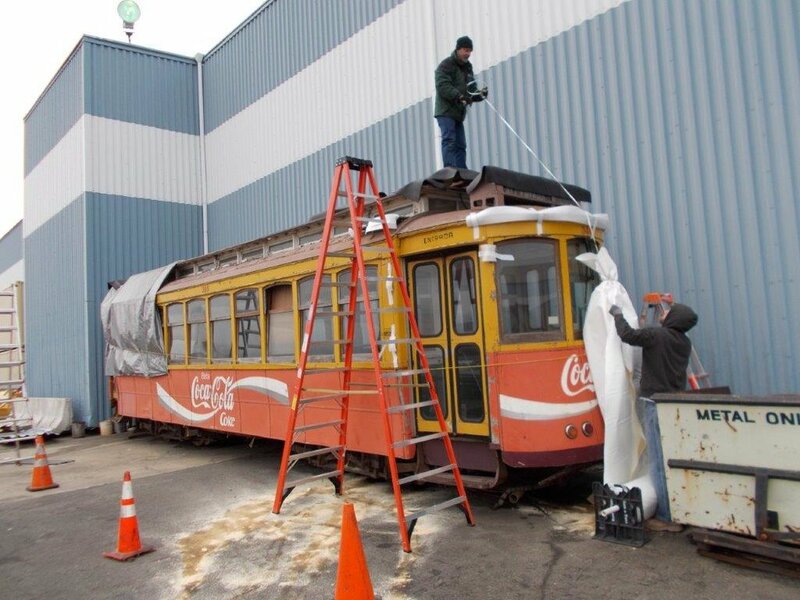 Funding: LHRy is in the process of saving the remains of this iconic Brill open trolley car from Wildwood. Purchased new by Five Mile Beach Electric Railway in 1913, operated until after WW II. It will be shipped to Gomaco Trolley Co. in Iowa for restoration. Photo from Jeff Marinoff collection. Funding: Project leader, J.R. May (unanimously appointed new LHRy director the day before), hands check to property owner on Dec. 5, 2018 in payment for the remains of Trenton & Mercer County Traction Co. car No. 288. The 1914 Brill-built car was cocooned in a small house in Hamilton, NJ for 85 years. In addition to paying for the car, LHRy also paid for capping the sewer line; demolition of the house by John Nolan and his backhoe; lifting; loading on trailer; transport to a secure storage location and offloading the car. Serious fundraising now begins! 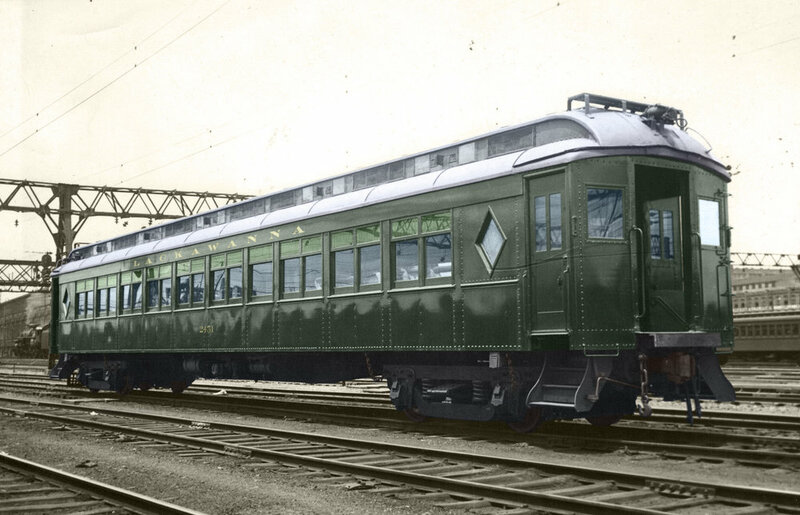 Funding: Atlantic City & Shore Railroad car No. 250 (Brill 1923, donated by Shoreline Trolley Museum to No. Jersey Electric Ry Historical Soc.) is unloaded @ Kinkisharyo in Piscataway. LHRy paid to have the rail, on which it is being unloaded, trucked from Boonton. LHRy will also fund the shrink wrapping of the car to protect it from further deterioration. Let the restoration fundraising begin! Funding: Boxcar No. 2009 was newly donated to Operation Toy Train by the Firefighters Training & Education Foundation. Painting completed by Jeff Conner of Greenville, PA with lettering provided by FastSigns of East Hanover, NJ. Funding for paint and lettering provided by LHRy. Funding: Boxcar No. 1947 was newly donated to Operation Toy Train by Wells Fargo Rail. Painting completed by Jeff Conner of Greenville, PA with lettering provided by FastSigns of East Hanover, NJ. Funding for paint and lettering provided by LHRy. Funding: Professionally completed restoration of 1937 Yellow Coach Model 733 bus to represent Public Service No. 5496. This restoration, funded by LHRy, was done by East Coast Bus Repair in So. Amboy, and it is now in running condition at Lakewood Garage. Funding: The Phillipsburg Morton Building door was hacked to shreds by metal thieves to gain entry to building to steal metal (now all gone). In the background is the new, heavy duty, vandal resistant steel door and new door frame installed on Sunday, September 9, 2018, with LHRy providing substantial funding. Funding: Morristown & Erie Nos. 20 and 2354 moved Tri-State’s Erie No. 10 and DL&W No. 2038 from their 17-year storage location in Madison to Boonton Yard. Upon arrival, all of the brake valves on the DL&W baggage car were replaced in preparation for a COT&S. The baggage car will be restored to operation to be added to Operation Toy Train’s annual Toys for Tots collection train consist. LHRy funded the move and the brake work. All photos by Rudy Garbely. M&E 20, Erie 10, DL&W 2038, and M&E 2354 depart Madison. The two passenger cars were stored on the track in the foreground for 17 years. The consist rolls east through Denville, being shoved by M&E 20. The DL&W 2038 and Erie 10 in Denville. The train paused in Denville to check the friction bearings, allowing this shot of a DL&W baggage car next to the DL&W Denville tower. The DL&W baggage car was parked next to the Whippany Railway Museum’s DL&W MU subscription car in Boonton Yard. 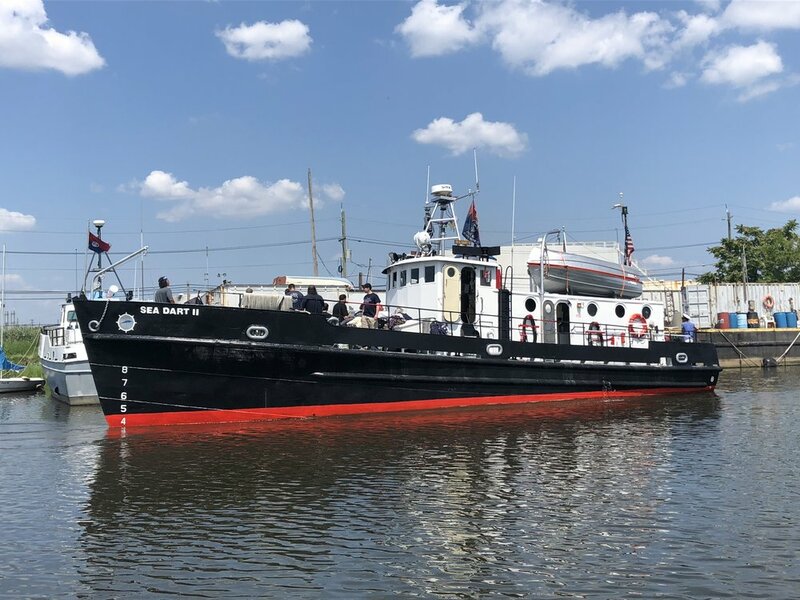 Funding: LHRy provided funding for an engine room automatic fire extinguishing system and new, replacement sails for New Jersey's official "Tall Ship." She is a wood, 1928 former Delaware Bay Oyster Schooner, which is owned, restored, and operated on public and charter sails between the Delaware Bay/River and Liberty State Park, as well as points between. This is the new 6 cylinder John Deere diesel engine for the restored 1928 Delaware Bay Oyster Schooner A. J. MEERWALD. LHRy has provided funding to upgrade the automatic fire extinguishing system for the engine room. Organization: Delaware River Steamboat Floating Classroom, Inc.
Funding: Required maintenance and preservation of 50' steel hull paddle steamboat Splash at Lambertville, NJ - The media blasting of inside of hull / bilges followed by two coats of S-W Epoxy primer and two coats of S-W Macropoxy 646 Fast Cure Epoxy by Atlantic Green Pro of Burlington, NJ was covered by a $16,700 grant from LHRy. Funding: Vehicle (diesel, manual transmission, 16' bed) purchased by LHRy Chairman, Bill McKelvey. Acquired from the collection of Capt. Phil Francis; moved from Mahwah to Boonton by Bill and Ed Amaducci. Funding: Engine and transmission rebuild, as well as later body repair and repainting, to be completed with grants from LHRy. Work to be performed at US Coach of Vineland, NJ. 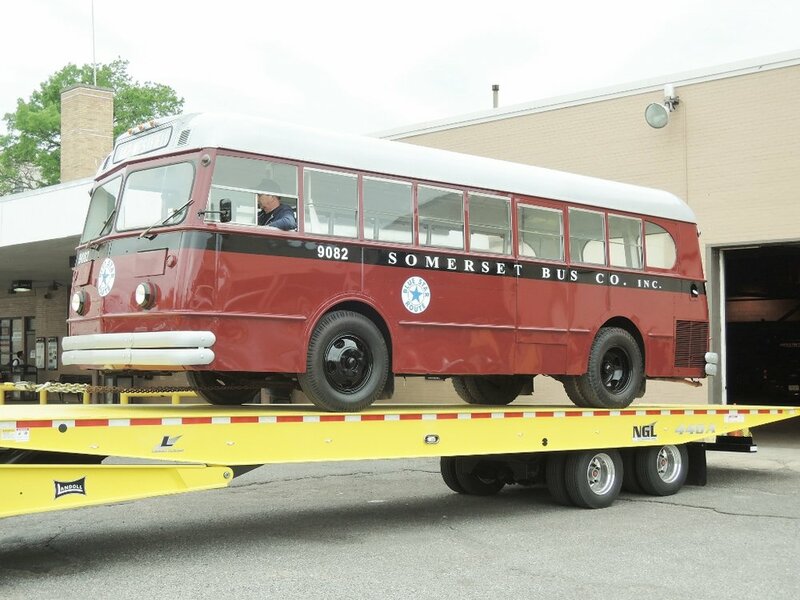 Trackless Transit was an Essex County, NJ bus operator. Funding: The LHRy Board voted unanimously to fund the outstanding invoice of contractor StarTrak ($44,000 has been paid) and completion of restoration work. Note: The replica individual wicker chairs have already been produced. 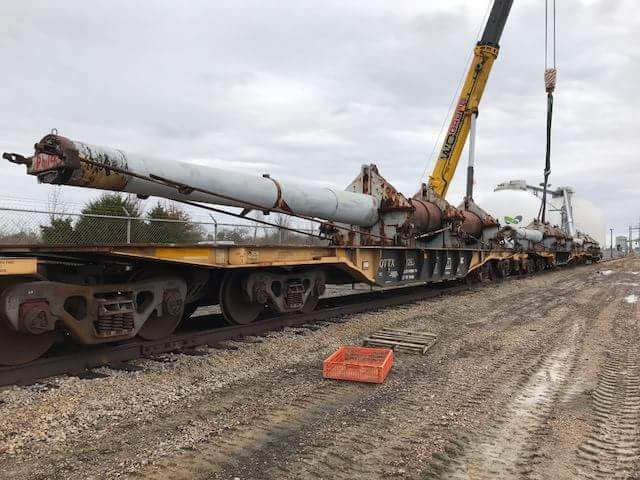 Funding: LHRy donated $10,000 toward the expenses involved in moving (by rail) two of three spare 16", 124 ton gun barrels from the Battleship New Jersey for preservation and display. One of the three moved to Philadelphia Naval Yard, while the other two (funded by LHRy) are being moved to BB62 (battleship New Jersey) at Camden. One of these will be trucked from Camden to The Mahan Collection Foundation in Basking Ridge, NJ. Funding: Reupholstery of all seat cushions in the railbus was funded by LHRy. Funding: Liberty Historic Railway is a continuing supporter of Operation Toy Train, which collected 25,454 toys during its four days of operation in December of 2017. Funding: Liberty Historic Railway provided $5,000 towards the restoration and repainting of this bus into its original colors. Funding: A former Pemberton Trust collection steel frame in good condition was donated to the PRR N6b No. 981775 Project by Scott Kwaitkowski from Ringoes, NJ on the Black River & Western Railroad. Payment for the crane and trucking of the frame to the work site in Columbus, NJ was paid for by Ed Rizzo and LHRy director J.R. May, who jointly head the restoration team. Funding for new lumber has been provided by LHRy. Funding: Originally owned by Lancaster Ohio (where buses replaced trolleys). Acquired by LHRy Chair Bill McKelvey and restored as Public Service #5496 ca. 1990. Donated to Friends of the NJ Transportation Heritage Center and stored at Phillipsburg. LHRy funded movement of bus from Phillipsburg to East Coast Bus Repair in South Amboy for repairs (to make operational and repainting) before going to Lakewood. Trucking provided by Somerset Hills Towing. Funding: Restoration of original People's Water Co. in Phillipsburg, NJ, owned by Warren County and leased to the Friends of the NJ Transportation Heritage Center. Repair and restoration work is being performed by three volunteer steam enthusiasts: Alexander Karnes, BA; Phillip Beard, Undergraduate; and Phil Christopher, Second Class High Pressure Boiler Fireman, State of MA. Liberty Historic Railway will pay costs of repairs, replacement parts, machining, welding, special tools, gaskets, solvents, lubricants, etc. Ken Miller is paying hotel expenses for the three volunteer steam engineers, who travel from MA on selected weekends. Funding: Liberty Historic Railway funded the 2016 acquisition, movement, and full restoration of this locomotive. Scroll down to see our report on this project in 2016, or click here for more information! Funding: LHRy funded promotional signage and a public address system for track cars to give the public trips for bird and wildlife observation in the Cape May area. The track and motor-power cars are owned by the Volunteer Railroaders Association, while Cape May Seashore Lines operates the trips between Cape May station and the Cape May Canal. CMSL is the designated operator of the track which is owned by NJ Transit. LHRy also funded grit blasting some of the VRA equipment prior to painting. Funding: Liberty Historic Railway purchased and donated a truckload of ties to upgrade track and extend the short excursion ride on the Milford, NJ end of the Bel Del line. Funding: Liberty Historic Railway funded a significant portion of moving the D'Arrest, stored at Winslow Jct., by truck to Kenvil. Click here for more information! Funding: Purchased by Liberty Historic Railway from prior owner Capt. Phillip Francis and donated to The Mahan Collection Foundation, Basking Ridge, NJ - the largest collection of restored Mack trucks in the world. 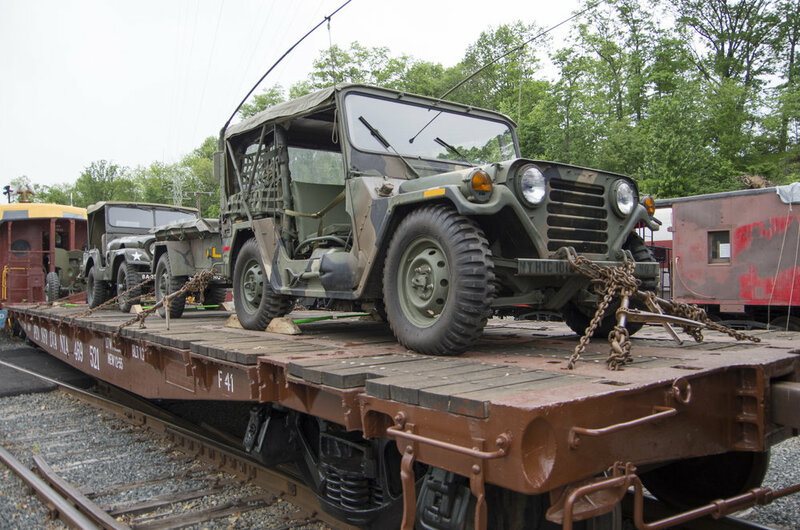 This truck was formerly assigned to the 104th Engineer Battalion at Teaneck, NJ Armory, and the trailer was used to haul military D7 bulldozers. 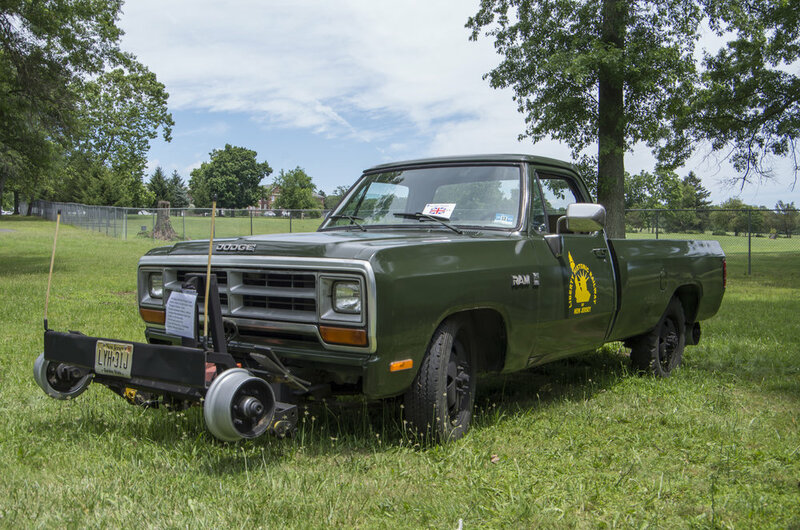 Funding: LHRy located vintage quad air horns and enamel“Watch Your Step” signs for WRyM's historic MU car, purchased and donated both to the museum, and funded the restoration of the horns. Funding: Liberty Historic Railway granted $6,000 for new boiler tubes for the Splash's steam boiler. Work was completed in time for their 2017 operating season. Funding: Liberty Historic Railway funded moving the Westphal, stored at Winslow Jct., by truck to Kenvil. Click here for more information! Funding: Liberty Historic Railway funded the complete exterior restoration of this bus to its original colors. Click here for more information! Funding: LHRy periodically coats the oak deck of the flat with preservative to extend the life of the wood. Funding: Liberty Historic Railway provided Tri-State with all $45,000 of the necessary funding to purchase the locomotive, thereby saving it from scrap and preserving it in operating condition for future generations. starting up in the URHS's Boonton Yard! 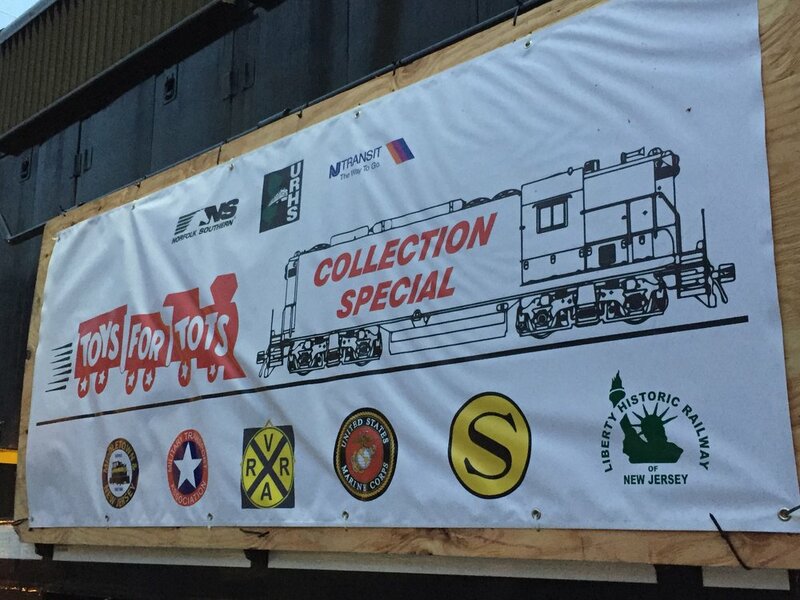 Project: U.S. Marine Corps Toys for Tots "Operation Toy Train"
Funding: Liberty Historic Railway became a sponsor of the annual Toys for Tots Train, which is organized by the Railroad Battallion of the North Jersey Chapter of the Military Transport Association. Funding: Liberty Historic Railway donated $4,000. Funding: This signal from Smiths Mills, NJ, owned by the Friends of the NJ Transportation Heritage Center and loaned to the Whippany Railway Museum, was transported and restored to operation with funding donated by LHRy. Funding: Liberty Historic Railway funded and coordinated the movement of a rare canal boat, located in the foundation of a residence, to its new location at Waterloo Village. 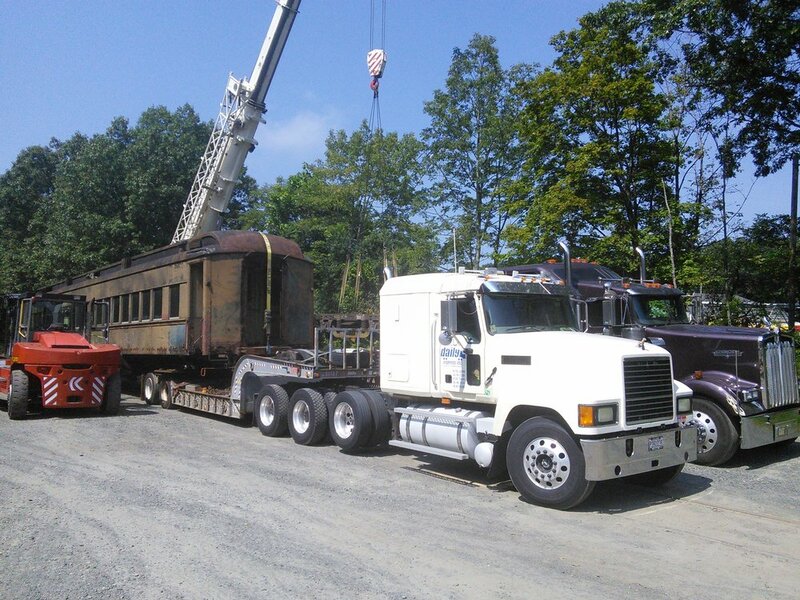 Funding: Liberty Historic Railway acquired the locomotive, transported it to its new home in Boonton, and began restoration. 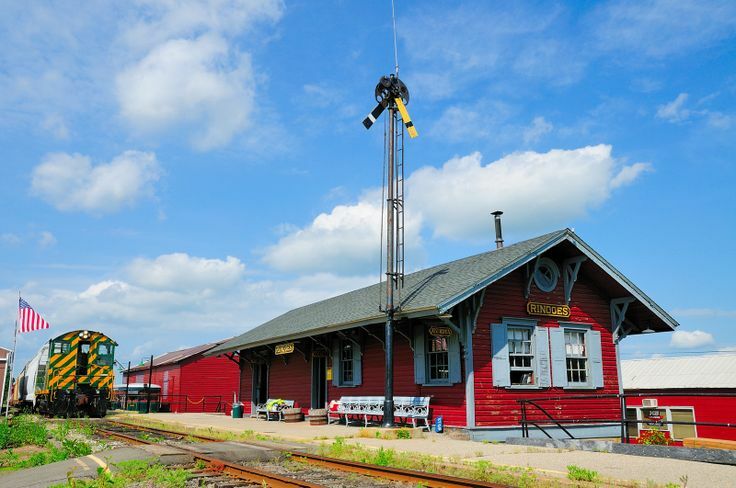 Funding: Liberty Historic Railway funded the application of a new slate roof for the station, which was moved several decades ago to the corner of N. Main Street and E. Dewey Avenue in Wharton. Funding: Liberty Historic Railway acquired this former U.S. Navy (Naval Weapons Station Earle) truck, repainted it, and restored it to operation. 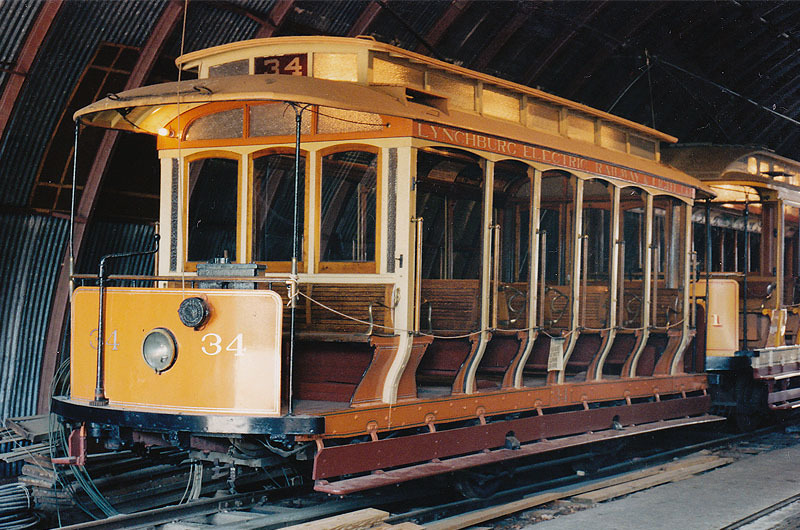 Funding: Liberty Historic Railway acquired title for this trolley from the Friends of the NJ Transportation Heritage Center, and transferred title to the Whippany Railway Museum. Subsequently, LHRy donated $10,000 to the Museum for transport of the car to a display location at Whippany and its restoration. Funding: Liberty Historic Railway provided the funding and manpower to cosmetically restore this locomotive to its original Erie colors. Funding: Liberty Historic Railway paid for the asbestos abatement on this locomotive, which is on display outside the Paterson Museum (housed in the former Rogers Locomotive Works building, where this locomotive was built). Funding: Liberty Historic Railway acquired the locomotive, transported it to its new home in Boonton, and restored it to operation before donating it to the URHS. Funding: Liberty Historic Railway donated $10,000 towards Black River's mission of preserving the history and heritage of NJ railroading and educating the public on railroad safety. Funding: A $10,000 donation was made to the Whippany Railway Museum for boiler work on their steam locomotive #4039. 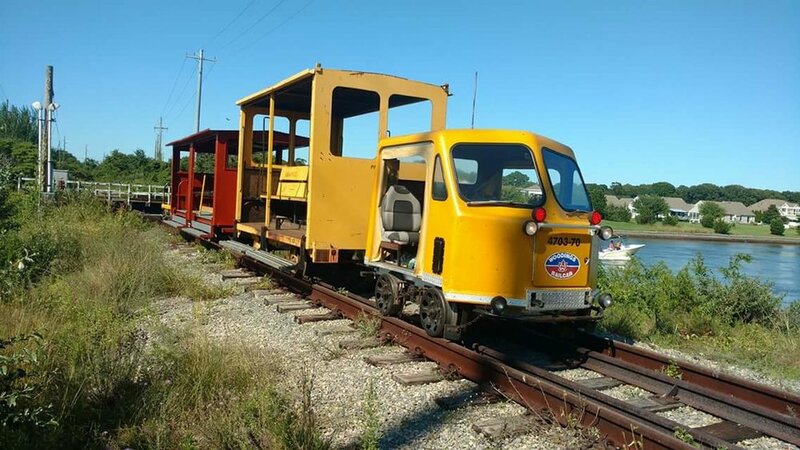 Funding: Liberty Historic Railway provided startup funding for StarTrak's new shop in Boonton Yard, which is used to restore equipment owned by the United Railroad Historical Society of NJ (URHS) and other railroad preservation groups. Funding: Liberty Historic Railway donated $10,000 towards the preservation of these three New Jersey streetcars. Funding: A $10,000 donation was made to the Whippany Railway Museum for work on several pieces of equipment, including Texaco fireless cooker #7240. Funding: Click here to learn about Liberty Historic Railway's initiatives in Liberty State Park.